Many consider employee referrals to be the best source of quality hires. But, while they can help you build your pipeline with candidates who come pre-vetted, they may be damaging to your company’s diversity efforts. A recent report from PayScale shows that job referrals can bring more engaged employees into your company, but tend to benefit white men a lot more than women or people of color. In fact, white men are at least 12% more likely to be hired through a referral than any other group—and get a much bigger bump in salary because of it. Here’s what PayScale’s report reveals about the diversity problem with job referrals—and a few ways that you can make your referral scheme support, rather than hinder, your company’s diversity efforts. During a four month period in 2017, PayScale surveyed 53,000 workers to find out whether they got their job through a referral. More than a third said they had received a referral, showing just how successful employee referral schemes can be. 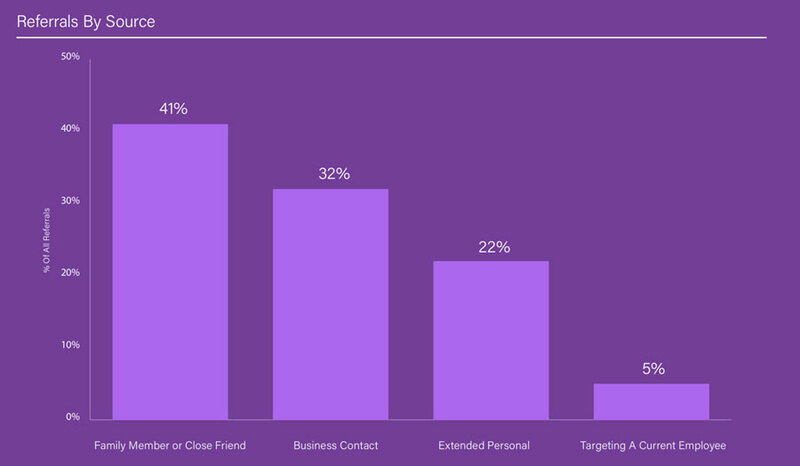 Of those, most (41%) were referred by a family member or friend, and 32% by a business contact. In addition, Payscale found that referrals tend to be more engaged and excited about their work—especially the 5% who actively seek out someone at the company to get a referral. While this is all great news, when you look closer at the type of employees coming in through referrals, the lack of diversity becomes more apparent. PayScale’s data reveals that despite making up just 34% of the labor market in the US, white men account for 40% of successful referrals. 30% are white women, and 17% are men of color. 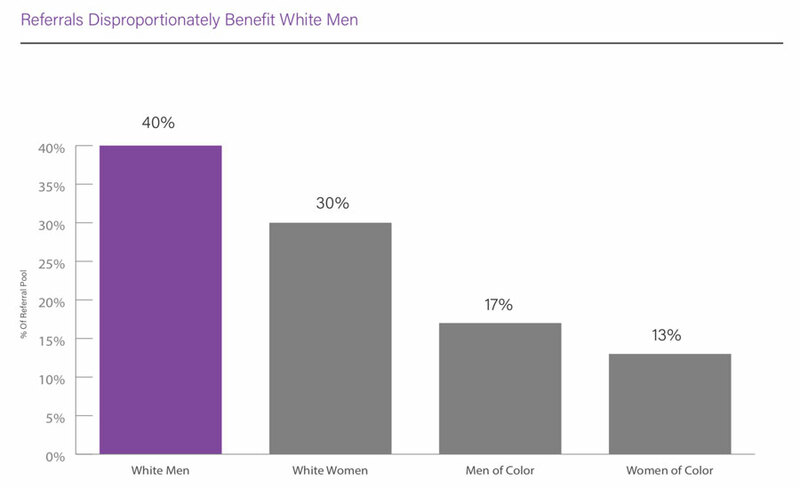 Women of color benefit the least from these programs, accounting for just 13% of successful referrals—making them 35% less likely to receive a referral than a white man. This data is unsurprising. Women have a harder time networking than men, and black women in particular can struggle to find advocacy within their network. And since people have a tendency to network with and refer people similar to themselves, companies that already have poor diversity figures are unlikely to get many diverse referrals. Men also benefit more from referrals in other ways. While both men and women may see a decrease in pay if their referral comes from a close friend or family member, men referred by a business contact can expect an average salary bump of $8,200. That’s more than twice what women referred by similar contacts typically receive ($3,700). This imbalance is also true of employees who get a referral from their extended personal network (like friends of friends). Statistically, such referrals have no significant impact on a woman’s salary. For men, they can lead to a $3,200 boost in pay. What this means is, your ERP might be doing more harm than good for your diversity initiatives. Since these programs have many advantages, don’t scrap them just yet. But by encouraging more diverse referrals, you can make your ERP fairer for everyone—and help your company achieve all the benefits of a diverse workforce. To give you some ideas, here are some things other companies are doing to increase the number of diverse referrals they receive. When thinking about ways to encourage more diverse referrals, Pinterest had a revelation: just ask employees to refer more diverse candidates. This strategy’s genius lies in its simplicity, sending a message out across the company about the value it places on diversity. 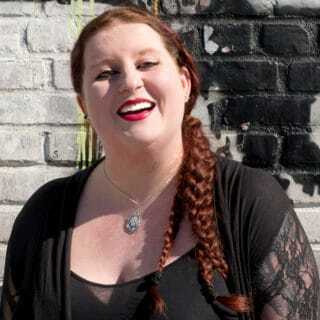 “During the period of our challenge, we saw a 24 percent increase in the percent of women referred and a 55x increase in the percentage of candidates from underrepresented ethnic backgrounds,” Abby says. After this tactic proved successful, Pinterest posed a similar challenge to its senior engineering team. To make this possible, the company also committed to sending this group to more diverse conferences and other networking events. Some companies are going a step further with diverse referrals by offering specific monetary incentives. In 2015, Intel pledged to increase its number of female and minority employees by at least 14% by 2020. One way it’s tried to meet this goal is by showing how much it values diverse referrals—actively rewarding employees who refer a women, underrepresented minority, or veteran. If a diverse referral candidate is hired, the employee who referred them receives a $4,000 bonus. That’s double the typical referral bonus. This initiative helped increase diverse hiring significantly in 2015, with 41% of new hires coming from an underrepresented group—up from 32% in 2014. The biggest increase happened at the executive level. In the first quarter alone, 17% of senior executives hired were from minority groups, compared to just 6% the previous year. And 33% were women, up from 19% in 2014. Intel announced in 2017 that it is on track to hit its diversity goals ahead of its 2020 deadline, showing that strategies like these can pay off. And Intel isn’t the only company trying this—Accenture announced in 2016 that it will also offer bigger bonuses for diverse referrals. In 2017, LinkedIn decided to shake up the traditional open house approach of recruitment events by trying something a little different—encouraging more diverse referrals as a result. The idea was to hold open mic nights to get to know diverse professionals—the majority of whom were sourced through referrals. In a relaxed atmosphere complete with pizza and beer, attendees could strut their stuff, singing, playing instruments, and even reading poetry. They also had the chance to chat with hiring managers (who stood out in bright red t-shirts), while gaining an authentic feel for LinkedIn’s culture. To make these events possible, LinkedIn leveraged its black and latino employee resource groups (ERGs), asking them to invite diverse professionals in their network. From just the first three events, the company discovered 350 new prospects, making 10 hires (and counting). You can find out more how LinkedIn made this event possible and how you can do the same in this post: How Open Mic Nights Have Become a Creative Way For LinkedIn to Engage Diverse Talent. Ultimately, referral programs are indispensable, helping you find more qualified candidates quicker, improving retention rates, and improving the chances that a new hire will be engaged and satisfied. But that shouldn’t come at the cost of diversity. While you might not be able to replicate what the above companies are doing exactly, it's important to be aware of how referrals can effect diversity and think about what your company can do to make sure you are getting referrals from different ethnicities and backgrounds.